First degree in Physics and Electrical Engineering at the Technion. Msc. in Physics at Hebrew University of Jerusalem. PhD in Physics at Hebrew University of Jerusalem. 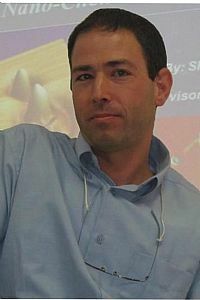 Participated in the Technion Excellence Program: 1998-2001. During His studies, Shalom conducted a research in which he built an FDTD simulator for spatial sulitons research.